Roger Thomas Palermo Jr., 32, died August 10, 2018. 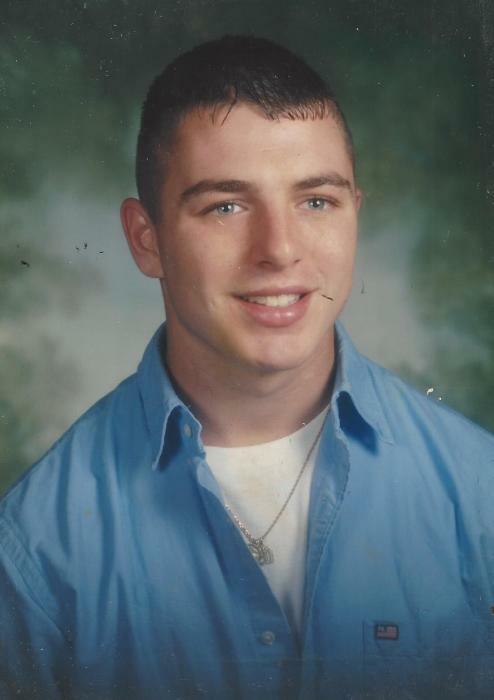 Born and raised in Quincy, he was the son of the late Cheryl (Bowen) and the late Roger T. Palermo, Sr. Loving father of Emilee Nicole Johnson. Brother of Nicole Palermo and her husband Daniel O’Connell of Quincy. Uncle and Godfather to Andrew Hodgdon of Quincy. Uncle to Nick Hodgdon, McKayla Young and Ashley Young all of Quincy. Fiancée of Amy Cole of Quincy. He graduated Quincy High School in 2003 where he was a talented receiver for the football team. Roger worked as a carpenter and received his Associates degree in Sports Therapy from Dean College. Relatives and friends are respectfully invited to attend visiting hours on Saturday August 25th from1:00-4:00pm at Hamel-Lydon Chapel & Cremation Service, 650 Hancock St, Quincy. Burial at Blue Hill Cemetery will be private.